See scan - very good condition. 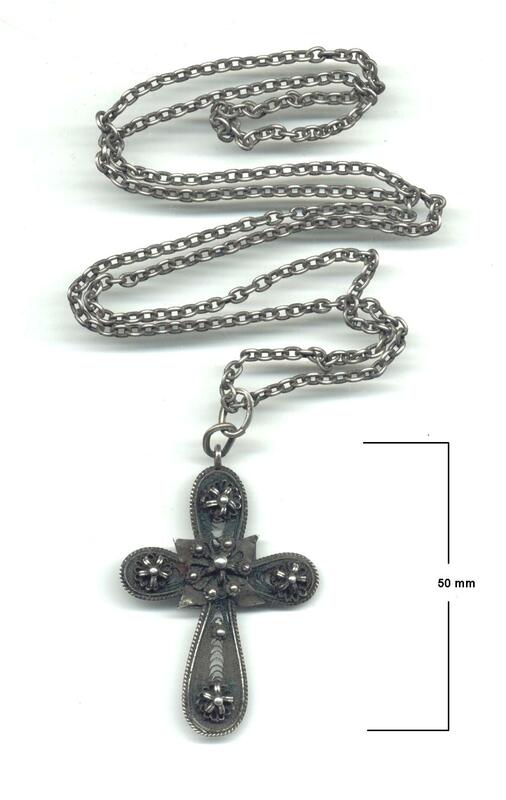 This is a nice antique most likely 17th or early 18th century Greece or Macedonia area silver filigree Orthodox Christian church cross with original 65cm chain. The cross itself has a great ammount of original patina and is about 50 mm tall in size. Very nice religious / religion collector piece and one of the nice Greek Orthodox crosses. c1910 China Silver & Ivory Guanin pendant !